Big Changes In H-1B Visa Process, Skilled And Profitable Professionals To Get Priority: Trump Administration on Friday proposed to make major changes in the application process of H-1B visa. 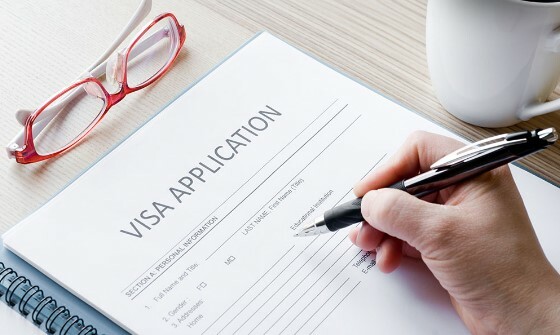 Under these changes, the visa will be done to give a visa to just such professionals who are the most skilled and their salaries are also high. Under this new proposal of the Merit-based Rule, US companies will be allowed to register themselves automatically during their visa period in US Citizenship and Immigration Services, according to the US companies will give visa to the employees according to the limit set by the Congress. Congress has created a limit of 65,000 visas for H-1B visas in every financial year. Those who filed the first 20,000 petitions with a master's degree or higher degree from the US would be exempted from this limit. U.S. Citizenship and Immigration Services ( USCIS ) also reverses its order to select exemption petitions due to H-1B caps and advanced degrees. This will increase the number of H-1B cap numbers to select foreign workers who have a higher degree from an American Institute. The proposed rules will select skilled beneficiaries. The Department of Homeland Security has said that suggestions or suggestions for making changes to this proposed rule can be sent from December 3 to January 2. Under this proposed rule, U.S. Citizenship and Immigration Services (USCIS) will take the first petitions under H-1B cap. After sufficient registration, petitions with advanced degrees will be given preference. Professionals who earn proficient and earn more from this will get priority. This will increase the number of such professionals by 16 percent. Upon adoption of the process of electronic registration, U.S. Citizenship and Immigration Services ( USCIS ) said that this will reduce the total cost of petitioners in the H-1B Cap Petition Process. USCIS will be very relaxed with the new proposal. With this, the agency will not have to manually work on thousands of petitions and related documents before starting the cap selection process.